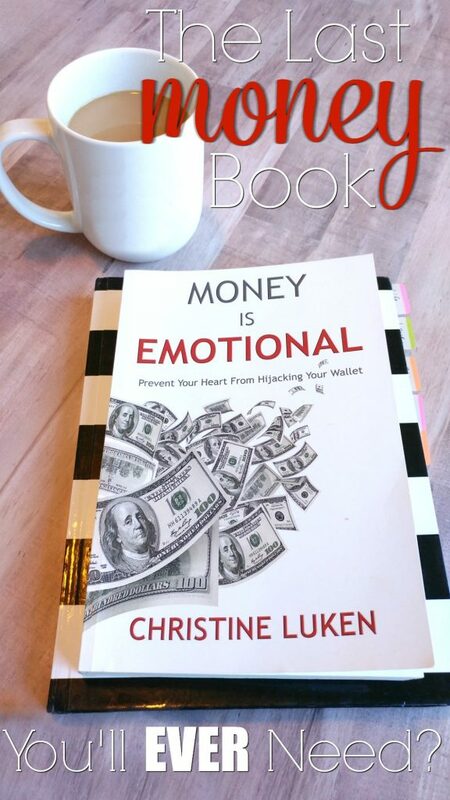 I was provided a copy of Money is Emotional by Christine Luken from the author for my unbiased review. This post contains affiliate links for your convenience. For more information, please see my disclosure policy. Somehow summer has gotten away from me, and we’re now deep into the throes of fall. The last month and a half has totally flown by. I don’t know where the time has gone, but somehow I’ve fallen behind on everything! I’ve been wanting to share with you guys about a book from my blogging acquaintance Christine Luken for a while now. Christine sent me a copy of her new book, Money is Emotional: Prevent Your Heart from Hijacking Your Wallet. I started reading it on my trip, but then stopped because this book was deserving of my full attention. I don’t normally do book reviews, but I’ve known Christine for a while, and when she put out her book I knew it was gonna be good stuff! First off, Christine is The Financial Lifeguard. 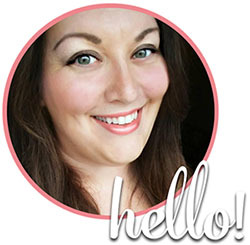 She has made a name for herself as a certified financial coach and speaker. The woman knows her stuff. Not only is she a certified financial coach, but she’s been there. In her book, Christine talks about the financial ruin she clawed herself out of with the guidance of her OWN financial lifeguard, her father. Now Christine uses that experience to teach others, but without the holier than thou attitude of many financial gurus. Because Christine knows what it’s like to be struggling with financial woes, she uses understanding and empathy in her book to explain the root of our money problems: money is emotional. I don’t want to give too much away, but let me say that I only wish I got around to reading this sooner. Christine shares her own struggles with money, and really truly gets it. What I love about Christine’s writing is that she talks to you like a professional, but also like a well-versed friend. She’s never preachy or condescending, which is something that I always hate with certain personal finance books. Her advice isn’t fluffy or coddling though, she does keep it real, but never once did I feel like I was being talked down to. She knows we are human and she’s not afraid to show us that she is too, which makes her much more relatable than the holier-than-thou financial gurus out there who don’t seem to have touch with reality. One of my favorite parts was where she talked about being a money victim. That is a role I have felt trapped in for YEARS. It wasn’t my fault, it was because my job didn’t pay me enough, or my parents didn’t teach me about finances, or any number of outside factors. I didn’t want to believe the issue was within myself (and most people don’t either). The sooner you accept this fact though, the sooner you can take control of your finances and get ahead. Throughout this book she covers the many emotional aspects of money, from being a money victim, to relationships and money, to being an enabler to becoming someone comfortable with money handling. We don’t realize how deeply interwoven money is into our lives and relationships, and how emotions can really mess with our financial well-being. Of course I can’t tell you all the juicy tidbits I would love to share, but I can tell you the book is filled with actionable tips and advice for handling your finances while accounting for emotion and not just logic. What you should judge your ‘financial health’ on instead of focusing on your credit score. What to do if you’re in debt now. I definitely recommend this book to anyone who has struggled with money, or who has felt alienated by traditional personal finance books in the past. You can find the paperback version of Money is Emotional on Amazon, as well as the Kindle version. AND the newest addition to the lineup, the audiobook version of Money is Emotional is now available on Audible too! If you haven’t tried Audible yet, it’s awesome! You can get a FREE month membership and TWO free audiobooks when you sign up as well! What did you think of Money is Emotional?